Oh jeez. I’ve fallen in love all over again. It’s a love tinged with fear though. Last year Nintendo released the NES Classic Mini for a very brief period of time, and when it was gone, it was gone. It is never* to return. 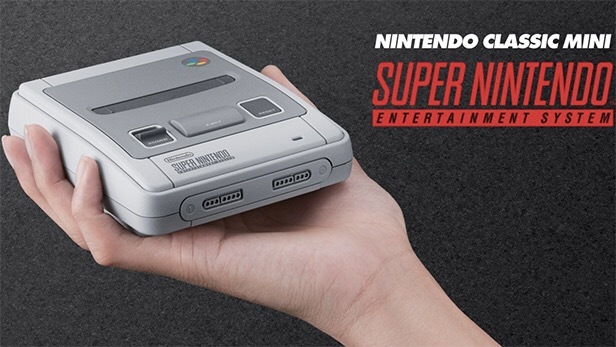 Critics felt Nintendo were deliberately ramping up demand by creating supply shortages, and the worry is they’ll play the same game with their latest gimmick, the SNES Classic Mini. I’ll admit to being keen on the NES Mini, but not to the degree that I want the SNES version – this, right here, is my childhood encapsulated. There are 21 games pre-loaded on this little version of the amazing console that I still have (though sadly, the controllers don’t work anymore). Among the titles, you’ve got Super Mario World, Super Mario Kart, The Legend of Zelda: A Link to the Past, Star Fox, and many more – including one particular title that many would argue is worth the price of this gadget, all by itself – Star Fox 2. Star Fox 2 was virtually completed, but then Nintendo switched focus to the N64, and as a result, the game was never released, appearing only on emulators. Some of the ideas from ended up in Star Fox 64, and also in Star Fox Command on the DS, but Star Fox 2 itself was shelved. Which means the SNES Mini gets to debut a new game! So, will Nintendo make more of these than the NES Mini, thus giving fans the chance to actually get their grubby paws on one? That’s the big question. Hopefully they will learn from past mistakes – for once! ← Super Mario Maker (2)?